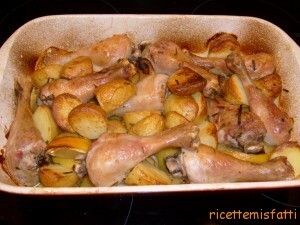 Published by Lucina, on 18 maggio 2011 in chicken, English Recipes and Meat. 12 Comments Tags: chicken, lemon, potatoes. 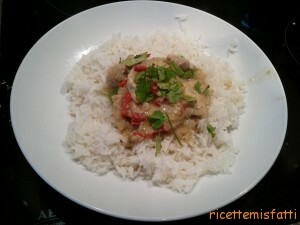 I have noticed we have blogged quite a few pasta/rice dishes lately but not many meat ones. Ok, I confess I am not a great meat eater. I could easily be vegetarian and in fact most of the time I cook with vegetables, pulses,eggs or cheese not meat. Still it’s nice to eat it, now and again, particularly if you treat yourself to some good quality, organic one. 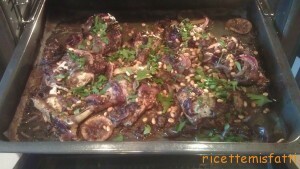 For this recipe I used chicken legs. They tend to be much cheaper than breasts and they are nicer to roast. 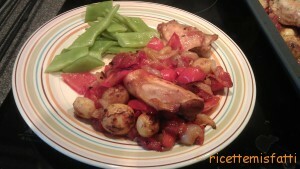 I downloaded this dish from the Italian Cookery magazine Candi blogged (G2Kitchen). The one with those incredible pictures that puts ours to shame (I still haven’t recovered….he he). On their website they encourage people to try their recipes so I did. 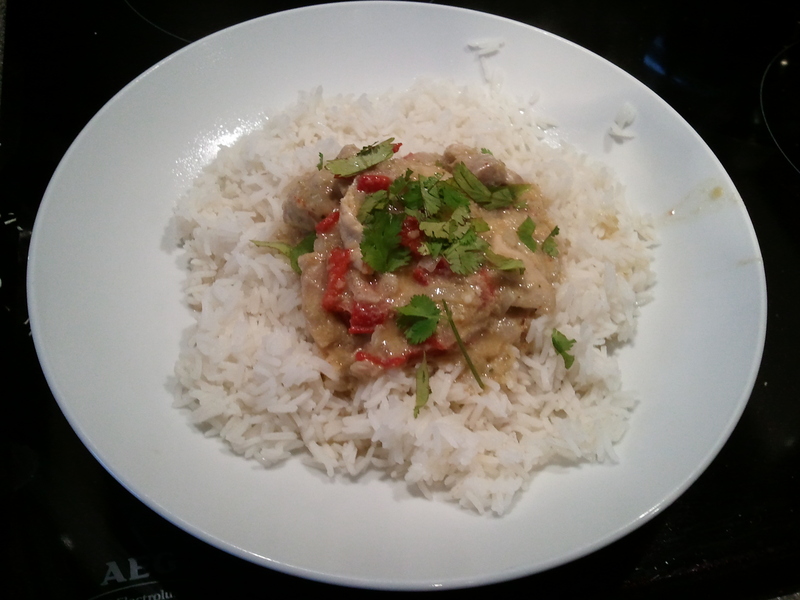 What I like about it is that it is dead quick and simple to make, yet it is really tasty. 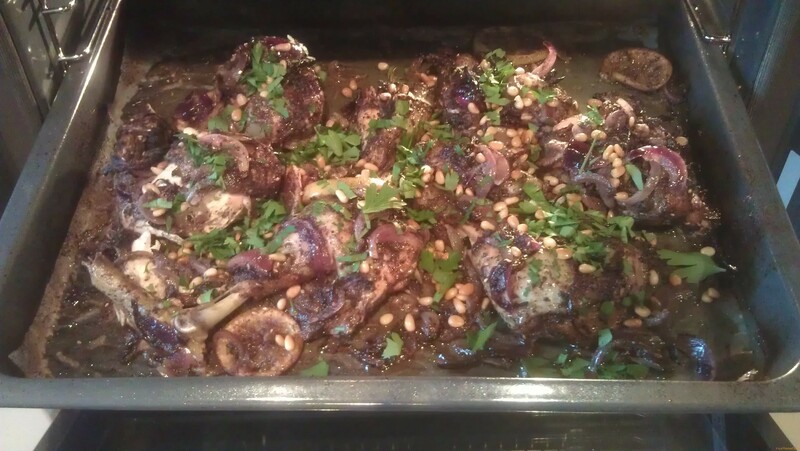 Definitely something I shall be cooking again. As I was unashamedly bragging about it my friend Rossella asked me to blog it so that she can have a go at making it on her “chicken day” (don’t ask) so here goes….